White (or off-white) Shaker-style doors create a light and clean look in a kitchen. 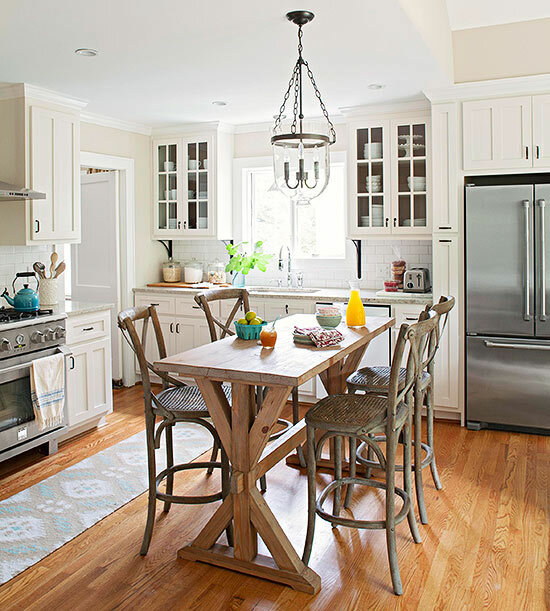 Cabinets in shades of white are enduring and versatile, appearing in cottage, traditional, and even modern kitchens. Twenty years ago, kitchen cabinets were well-equipped if they included a lazy Susan and a built-in spice rack. 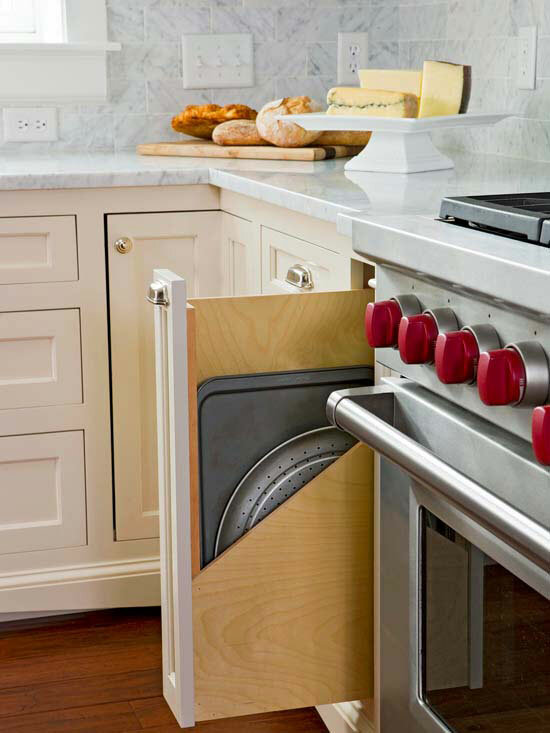 Now storage options are plentiful, including pullout trays, bread boxes, and narrow spaces that would otherwise have false cabinet fronts utilized as customized spots for pans such as cookie sheets and muffin tins. Instead of a standard rectangular island, try a stand-alone table to create a cozy feel. Chairs can be pulled up for a casual meal or pushed to the side for meal prep and serving.